At the end of my last Blog post I mentioned that I might write more on the subject of immigration/emigration. This wasn’t the one I had in mind but I found I had to write it and post it before it’s out of date! I, like many others, have been upset by the pictures of refugees doing their utmost to get themselves and their families to a place where they are safe and can have a better life. I’ve also been touched by the scenes of great kindness offered to them in Austria and Germany. In particular there was one old Austrian woman who was giving them food and water as they went by and when asked why she replied that she could dimly remember being in their situation when she was a young girl. I hope that we in the UK get our act together and do something concrete rather than just making vague promises and putting off any actual action to a distant date when it is too late. There definitely seems to be a grassroots feeling that we should help but there’s probably no-one in the government who can empathise like that old Austrian woman. The journey was an adventure in itself: 1500 miles which we did in 4 days. The first day was just down to Kent where we stayed with my brother ready for the Channel Tunnel before dawn the next morning. Then on to the Continent. 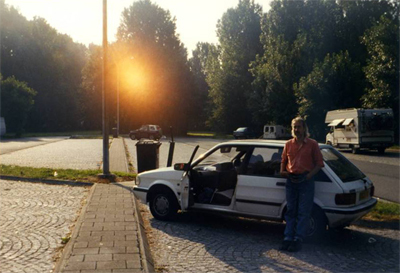 It was the first time I had driven abroad and I was surprised how quickly I became acclimatised to driving on the right etc. The first day took us through a tiny bit of France and Belgium into Germany. We made good progress and by evening we were very near the Austrian border and looking for somewhere to stay. Up until then there had been motels at most of the service areas but now, I think, we were out of the tourist areas and there weren’t any. We asked and were directed off the motorway to a tiny, country hotel called the Gasthof Wurm which had an ominous dragon on the sign! It was one of those places where they don’t often have foreigners. They didn’t speak English and we didn’t speak German so conversation was limited. Next day we sailed through Austria and into Hungary onto the aforementioned M1 motorway which had only recently been opened and wasn’t complete. I was immediately struck by how enthusiastically the Hungarians had bought into western culture, the motorway was bordered by huge billboards advertising Coca Cola and Casinos. 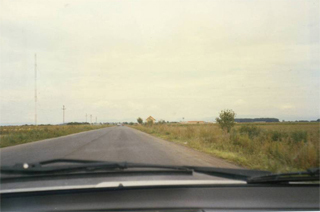 Our plan had been to stay in Budapest but we were there quite early so we pressed on towards the next big town, Szolnok. This was where the adventure started to become interesting. As we left Budapest and headed towards Romania on the main road used by heavy lorries I became aware that every lay-by and space by the road was inhabited by a young woman making it very obvious what she was selling—herself. Some of these were quite a way from town so I suppose they must have been dropped off by their pimps and collected again later on. Then we carefully drove on, very aware of our speed, and I became aware that the car was making a strange sound—a rasping, squeaking sound. I tried slowing and accelerating, moving the steering wheel, braking gently, everything I could think of but the noise continued. It took quite a while before I realised that it wasn’t the car making the noise, it was cicadas outside in the fields! In the morning when we paid we discovered that we didn’t have enough forints left after paying our speeding fine so we had to change Travellers Cheques at a very poor rate. So Hungary proved expensive. Then we headed on to Romania and entered the country at Oradea, a hell of a place, and finally reached Maramures which was heavenly. 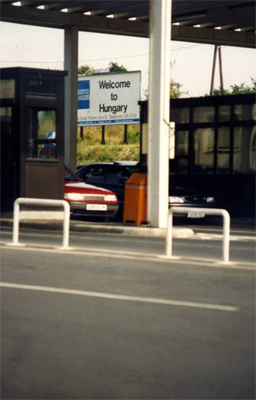 On the return journey through Hungary, in the direction taken by the recent refugees, nothing worth reporting happened apart from staying a night in what was then the country’s only motorway service area which was pretty bad even compared with British service areas of those days. Our trip to the east was nothing like the journey the refugees are making west. There’s no doubt that it’s impossible to remain in many parts of Syria and Iraq. To deny that is to wilfully close your eyes to reality. 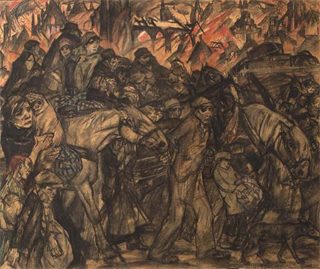 But it’s been sad to find that quite a number of the young men we met in Maramures have ruined their lives in seeking the dream of ‘a good life’ in Britain or France. A dream that rarely comes true. In many ways we found the dream there. When we went there was little electricity, running water or main sewage in the countryside, and definitely no broadband! Now, I believe, all that exists so you can have the best of both worlds. 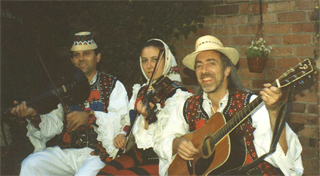 Popeluc played both Romanian and English music and combined the two into a very workable fusion.